Location. Location. Location. It's hard to imagine a better location in all of Phoenix than the Scottsdale Waterfront Residences (on the corner of Scottsdale and Camelback). 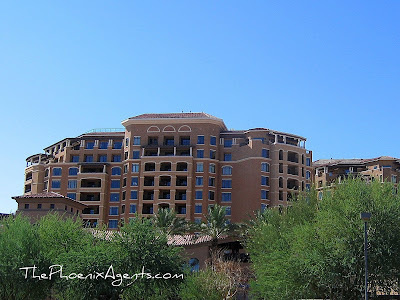 Across the street from Camelback Mountain to the north, the Waterfront and Downtown Scottsdale to the south, and surrounded by Scottsdale Fashion Square's world class shopping and dining. This wouldn't be bad place to call home. You can read the rules for a Moving Stills post and learn how the series came to be by reading my initial post in the series – Moving Stills 1.